The main aim of our journal is to provide a forum for the publication of papers documenting recent advances and new developments in the field of radiology. The journal is a medium for original articles, reviews, pictorial essays, technical notes and case reports related to all fields of diagnostic and interventional radiology. In details, topics are: Abdominal Imaging, Breast Imaging, Cardiovascular Imaging, General Radiology, Head & Neck Imaging, Interventional Radiology, Musculoskeletal Imaging, Neurointerventional Radiology, Neuroradiology, Nuclear Medicine & Molecular Imaging, Pediatric Imaging, Thoracic Imaging. ‘Callus caps’- an intriguing footprints of intramedullary nails. Simultaneous presentation of Wunderlich’s syndrome and thyroid nodule in a patient with Tuberous sclerosis: Are thyroid lesions a part of Tuberous Sclerosis Complex? Validity of Shock Index, Modified Shock Index, Central Venous Pressure and Inferior Vena Cava Collapsibility Index in Evaluation of Intravascular Volume among Hypovolemic Egyptians Patients. MRI in diagnosing subclinical hip pointers. Oro-Antral Fistula: Radio-diagnostic lessons from a rare case. 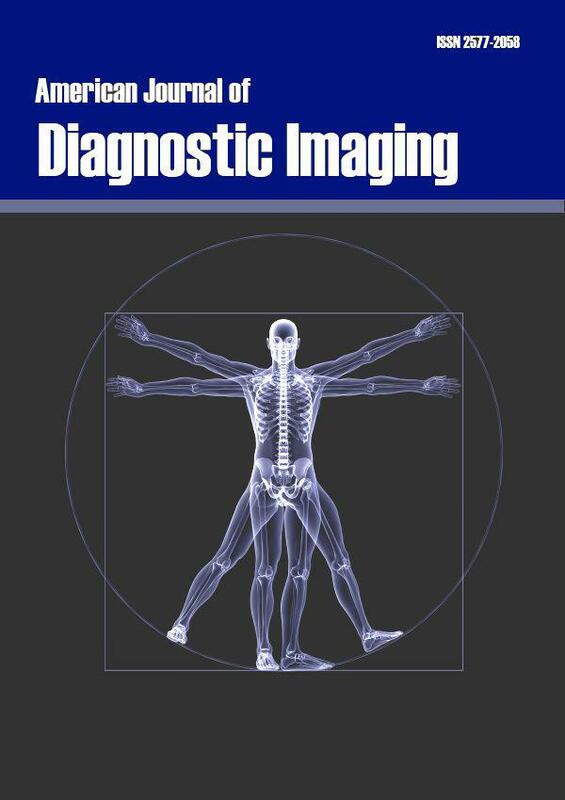 The articles in American Journal of Diagnostic Imaging are open access articles licensed under the terms of the Creative Commons Attribution Non-Commercial License (http://creativecommons.org/licenses/by-nc-sa/3.0/) which permits unrestricted, non-commercial use, distribution and reproduction in any medium, provided the work is properly cited. Copyright © 2019 American Journal of Diagnostic Imaging All Rights Reserved. Subject to change without notice from or liability to American Journal of Diagnostic Imaging .